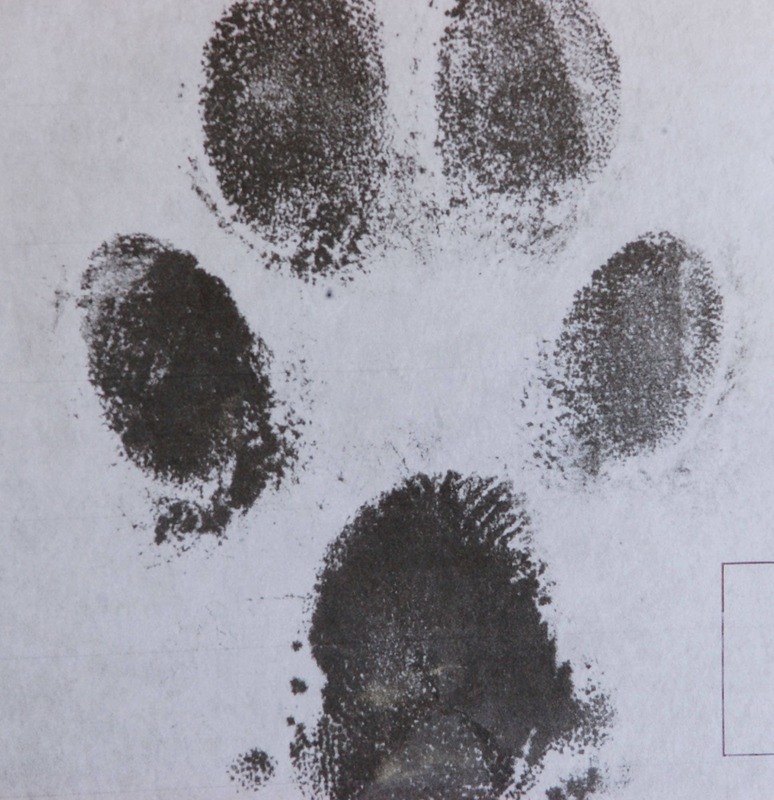 Send me an image of your print! Black ink on white paper. (If you have a mold, I can convert for $10.00 extra). 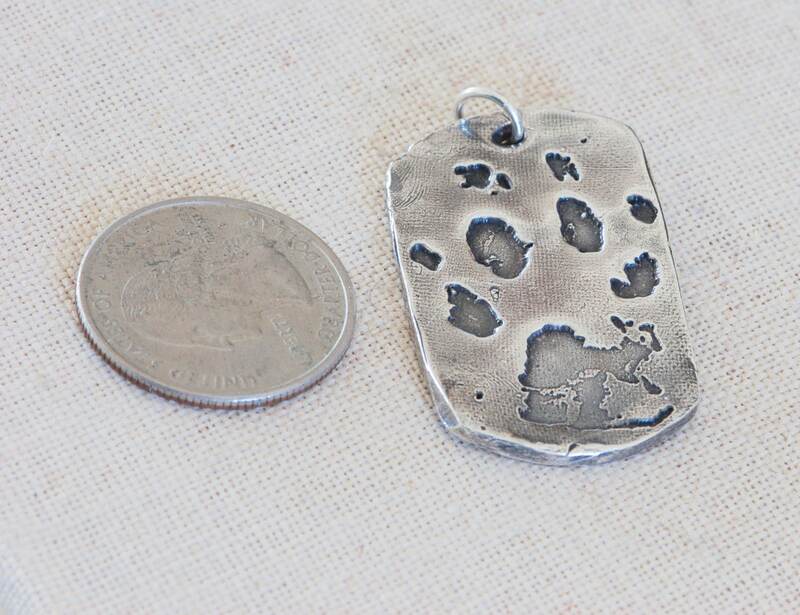 This is a large dog tag from recycled fine silver. 24mm x 40mm. 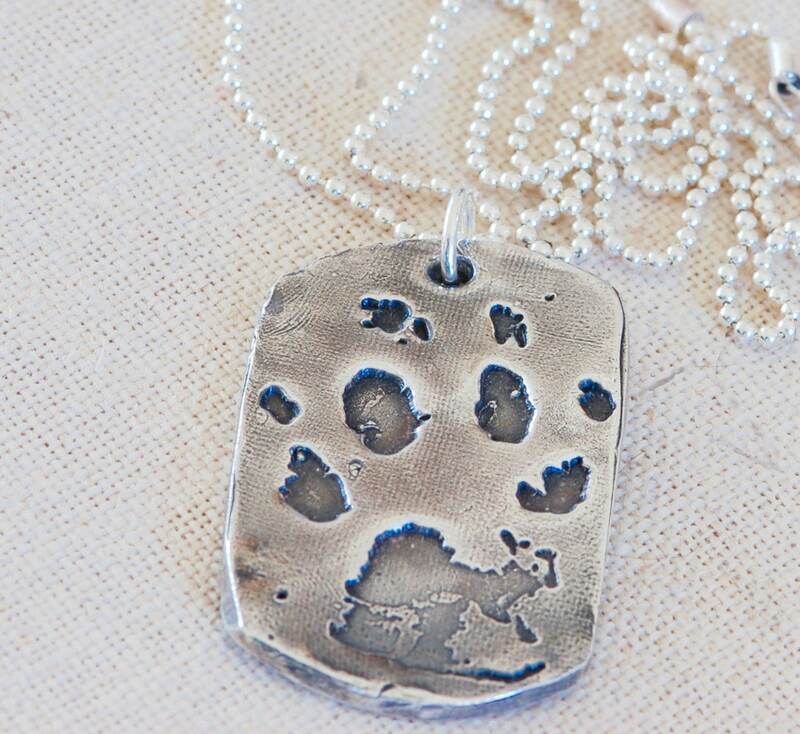 Charm only...order chain if you wish to have the sterling bead chain. 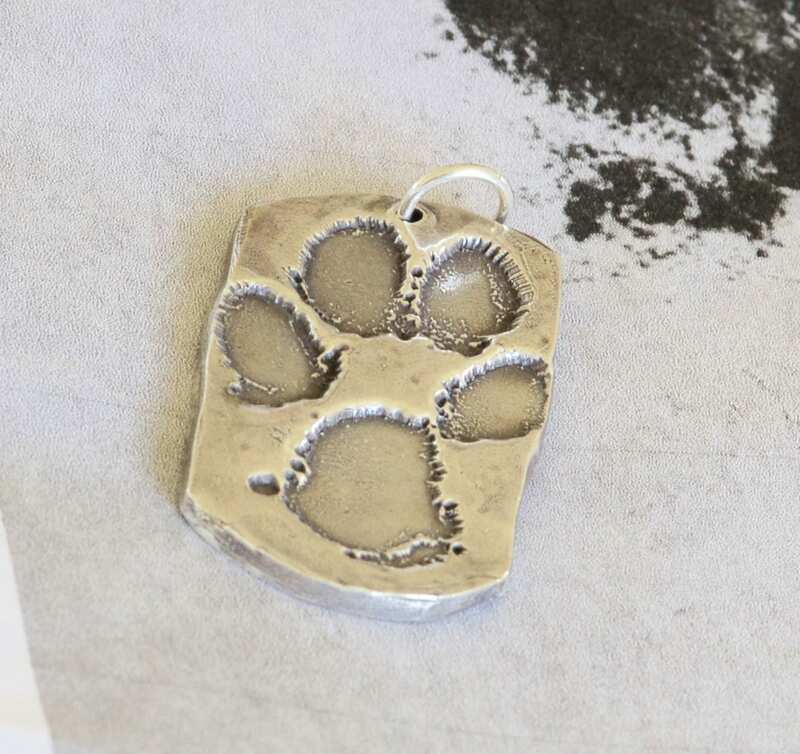 This can be done with a handprint, fingerprint or footprint also. 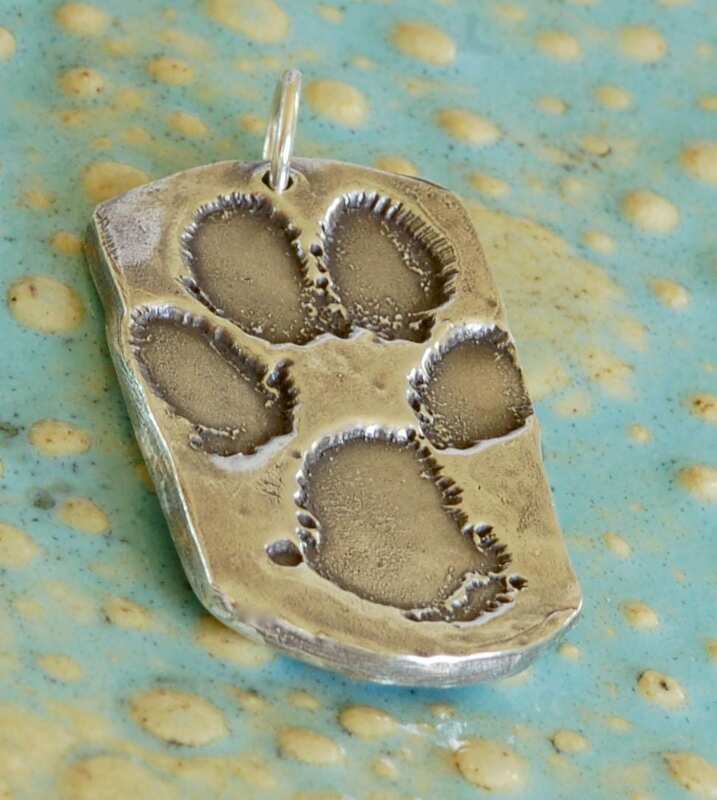 This is a great gift to remember a deceased pet. Sterling silver bead chain comes in 18", 20", 24", 36".